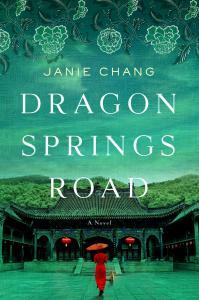 Janie Chang is a Canadian novelist who draws upon family history for her writing. She grew up listening to stories about ancestors who encountered dragons, ghosts, and immortals, and about life in a small Chinese town in the years before the Second World War. She is a graduate of The Writer’s Studio at Simon Fraser University. Born in Taiwan, Janie has lived in the Philippines, Iran, Thailand, and New Zealand. She now lives in beautiful Vancouver, Canada with her husband and Mischa, a rescue cat who thinks the staff could be doing a better job. 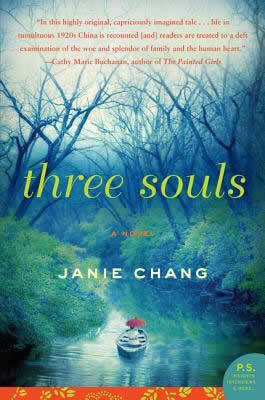 Three Souls is her first novel. It was a finalist for the 2014 BC Book Prizes Ethel Wilson Fiction Prize and was one of 9 Canadian books long-listed for the 2015 IMPAC Dublin Literary Award.